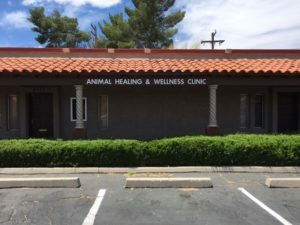 What makes Animal Healing and Wellness Clinic Unique? Animal Healing and Wellness Clinic is a small clinic focusing on integrative animal healing and wellness. 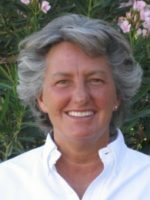 Dr Paula Medler has over three decades of training, experience and expertise in conventional and holistic veterinary medicine. You receive an extended office visit with a full hands-on physical examination of your pet. We form a partnership. It is important that we listen to the animal and it’s guardian. Listening is a very important component of the visit. There is no “fire engine” medicine here, we are here to discover the clues to wellness before they become ill or to return an animal to wellness and balance through a combination of conventional Western and Chinese Medicines. We create a plan for your pet’s wellness…each plan is unique to the animal – whether it has a chronic illness or disease, an injury, or is an animal athlete. We suggest baseline blood and urine testing, including testing for diseases that are common to this area (desert disease profile). Animal Healing and Wellness Clinic focuses on dental wellness using state of the art dental equipment and digital dental x-rays. Dr Medler strives to maintain a healing energetic space that creates a “Fear Free” environment for both the animals and their caregivers. Dr Medler is trained in multiple modalities of both Western and Eastern Medicines, including Medical QiGong, animal chiropractic, medicinal Chinese herbs, acupuncture (needles, lasers, injections), ozone therapy, and rehabilitation therapy. We minimize the usage of vaccines by taking into consideration the age of the animal, their environment, vaccine history and titers, in order to determine the best vaccination plan for each individual animal. Because we are a small clinic, you and your pet will develop a personal relationship with Dr. Medler and your appointments will always be with her.